You might consider installing a rain gutter guard onto your existing gutter system in Los Lunas, New Mexico, or a surrounding area to enjoy the many benefits of using gutter guards, including outstanding resistance to fire and rust. Thankfully, ABC Seamless of Albuquerque has been in business since 1989 and offers convenient gutter cover solutions that will also eliminate the need to ever perform annual maintenance on your gutters. 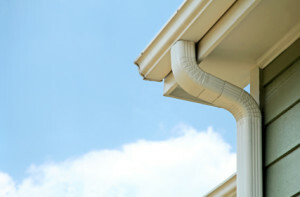 Preventing leaks from forming in your gutter system is important because, if gone untreated, water damage from your gutters can lead to rotting wood and extensive damage to your roofing underlayment. And, because we install the most durable and functional gutter covers, we can guarantee that you will enjoy decades of maintenance-free gutters. For more information about the rain gutter guard selection available to homeowners in Los Lunas, NM, and the surrounding areas, contact ABC Seamless of Albuquerque today. A member of our team will happily answer any questions that you may have. Please inquire about our excellent financing options available to homeowners that qualify.